I have put a lot off time in this plugin so I would really like It if you rate It In the commands. [What the plugin does] It give's a diamond(can be changed in the config file) onjoin. When you right click the diamond It will open a Gui. In that Gui you can choose many particles that folow you. you have the regular particles and the advanced . The advanced particles are of course nicer than the regular ones. You can also disable item drop in your hub world(can be edit in the config file). and you can have particles onjoin(can be edit in the config file). - This plugin is for [1.11]. - There is a chance that their is lagg with some of the particles. - There will be a config file that you can edit. 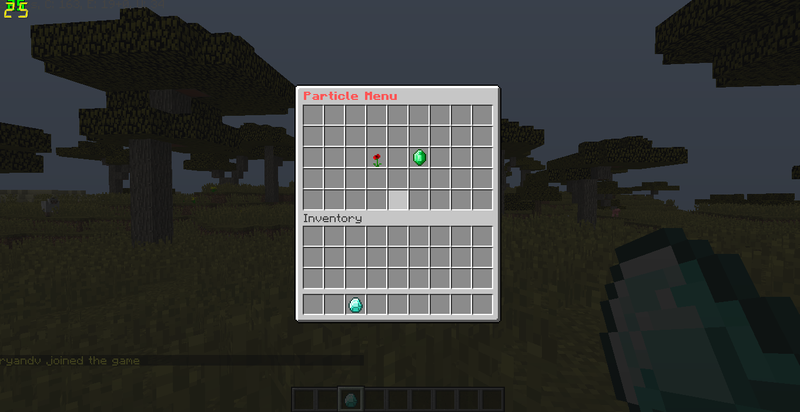 -/Particles GUI (This wil open a Gui so you can select the particles you want).